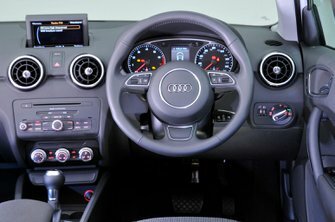 Used Audi A1 Review - 2010-present Servicing, MPG, Insurance | What Car? 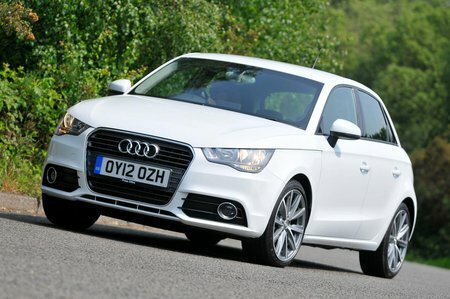 What used Audi A1 hatchback will I get for my budget? Early Audi A1s can be found from £5000. These will have covered a fair number of miles, however, so if you want one with less than 60,000 miles, you will need to spend £7000 or more, which gets you a nice mix of 1.4 TFSI petrols and 1.6 TDI cars with either three or five doors. If you want to buy a warm hatch version of the car, there is either the 2.0 TDI for £9500 or the higher-output 1.4 TFSI with 182bhp for £10,500. The range was facelifted in 2014, which ushered in the new 1.0 TFSI three-cylinder petrol. These cars begin at around £11,000. One word of caution: due to the high build quality and tough interior of the Audi A1, it can hide high miles well, but this shouldn’t be an excuse for the seller to overprice the example you are viewing. Shop around, as there are plenty of these cars around if the seller is not willing to haggle. How much does it cost to run a Audi A1 hatchback? All 1.6-litre diesel models emit less than 100/km CO2 and if registered before April 2017 therefore qualify for free road tax. It can also return some impressive official combined fuel economy figures of 74.3mpg. There is also a higher-performance 2.0 TDI that should do 68.9mpg and pre-April 2017 cars will cost £20 to tax. The petrol range begins with the 1.2 TFSI, which manages 55.4mpg and if pre-2017 costs a mere £30 per year in road tax; the same as the 120bhp 1.4 TFSI. There is also a 1.0 TFSI three-cylinder petrol, which is rated to do 67.3mpg and sneaks into the free road tax band. If you are looking at a 1.4-litre unit, check the power output because there was also a 182bhp variant available that costs significantly more to run than the 120bhp version. The 182bhp 1.4 is the thirstiest petrol in the A1 range at 47.9mpg and £135 per year in tax if registered before April 2017. Anything registered after April 2017 will cost £140 per year to tax. Servicing costs will be similar to that of the Mini. Audi does offer a servicing strategy that alternates between a minor and a major service to help reduce costs. If the previous owner has taken out a service plan, you should also check if there are any remaining services left on it. This can be done by contacting the service department of any Audi dealership.